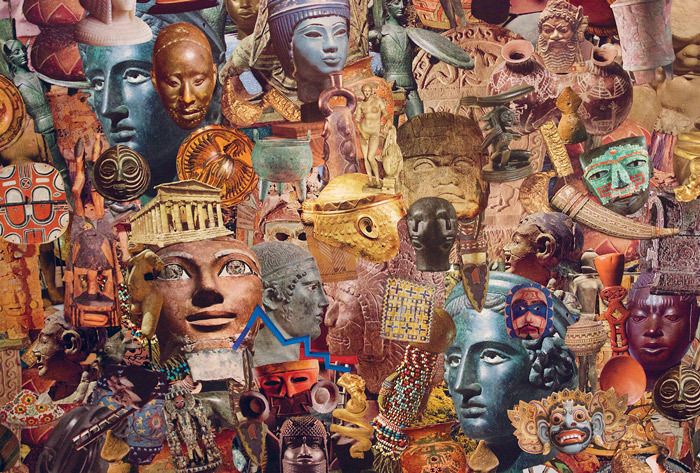 Utilizing found images from textbooks along with his own geometric patterns, Matthew Craven’s collages and illustrations seek to create a new handmade universe, juxtaposing imagery from different cultures and time periods to celebrate commonalities. Photographs of archaeological remains and the natural world are overlaid on colourful textiles drawn on the back of vintage movie posters, to create a hypnotic and mesmerizing vernacular of symbols and designs. Primer features an introduction by curator Leslie Jones of the Los Angeles County Museum of Art. It is also the first publication of Craven’s art and a reconfiguration of traditional historical narratives inspired by obsessive formations. Matthew Craven’s work centers around found imagery combined with hand-drawn geometric patterns. He has shown in galleries all over the world, including the Netherlands, Switzerland and the U.S. Reviews of his work have appeared in The Huffington Post, Art Critical, and The Brooklyn Rail. In 2017, he was the artist-in-residence for the Marfa Myths Festival. Primer is the first monograph from Craven, who lives and works in Los Angeles. Purchase the book directly from the publisher HERE or from Powell’s Books in Portland, Oregon HERE. 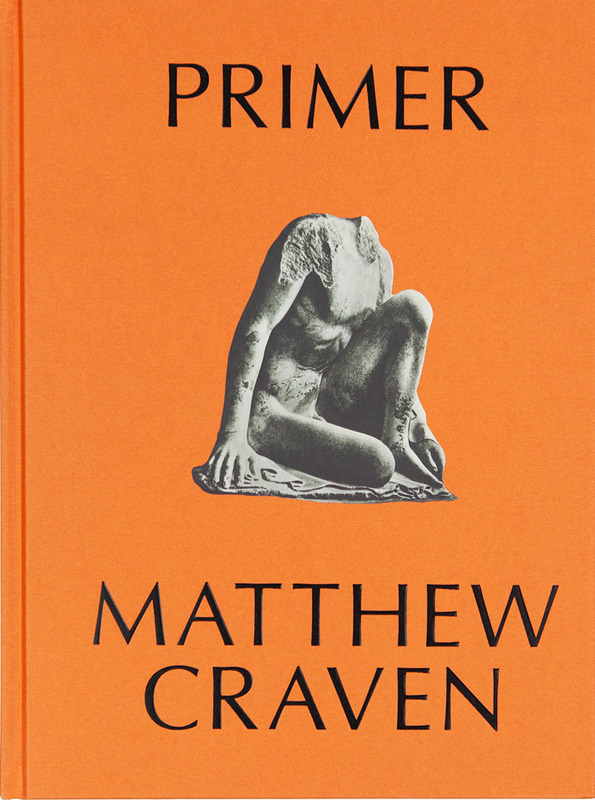 Image by Matthew Craven from Primer, published by Anthology Editions.